Tim completed his undergraduate studies at Brigham Young University where he earned a B.A. in English in 1986. He pursued graduate studies at Utah State University where in 1992 he earned a M.A. in American Studies. Tim received his Juris Doctor from Capital University Law School in 2000, graduating with honors. In 2015, Tim was honored with the Client Distinction Award from Lawyers.com – recognizing him as the top 1% of more than 900,000 attorneys in the U.S.
After relocating to Arizona in 2001, Tim opened his own law office practicing in the areas of family law, personal injury and criminal defense. In 2007, Tim became a senior family law associate with a mid-size Mesa law firm, where he practiced in both family law and bankruptcy. In 2010, Tim joined JacksonWhite where he exclusively practices family law. 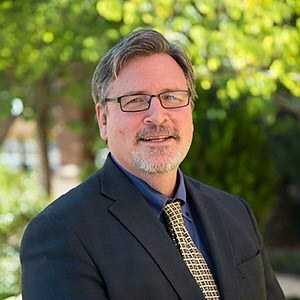 Tim is a member of the American Bar Association, the Maricopa County Bar Association Family Division, as well as the Arizona State Bar, Alternative Dispute Resolution and Family Law sections. Tim is married and has five children. When he is not representing clients, Tim enjoys spending time with his family and playing guitar with his classic-rock band “The Channel Surfers.” Tim also spends numerous hours volunteering to help families and young adults in need.